Truth Left Behind and The Left Behind Deception. For almost a thousand years, Europe had been ruled by the iron hand of Rome. Only a few Bibles existed then, and Christianity was largely permeated with superstition. Faith in Jesus Christ, heartfelt appreciation for His love, and a simple trust in His death on the cross, were almost unknown. The New Testament truth about grace, full forgiveness, and the free gift of eternal life to believers in the Son of God (Romans 6:23), had been buried under a mass of tradition. Then Martin Luther arose like a lion in Germany. After a period of tremendous personal struggle, Martin Luther began teaching justification by faith in Jesus Christ (being declared “just” by God), rather than through reliance on “creature merits,” or any human works (Romans 1:16; 3:26, 28; 5:1). Martin Luther, as well as all of the other Reformers, were unanimous in their interpretation of the Antichrist as the papacy. 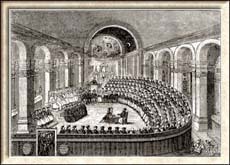 At the Council of Trent, the Jesuits were commissioned to develop a new interpretation of Scripture that would counteract the Protestant Reformation, specifically, the application of the biblical Antichrist to the Roman Catholic Church. 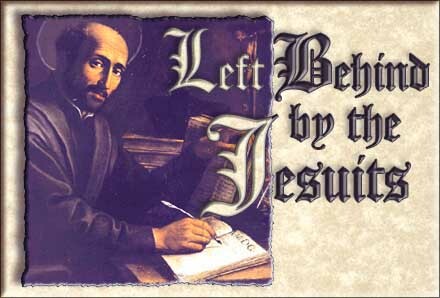 At the Council of Trent, the Jesuits were commissioned by the Pope to develop a new interpretation of Scripture that would counteract the Protestant application of the Bible’s Antichrist prophecies to the Roman Catholic Church. Francisco Ribera (1537-1591), a brilliant Jesuit priest and doctor of theology from Spain, basically said, “Here am I, send me.” Like Martin Luther, Francisco Ribera also read by candlelight the prophecies about the Antichrist, the little horn, that man of sin, and the Beast. But because of his dedication and allegiance to the Pope, he came to conclusions vastly different from those of the Protestants. “Why, these prophecies don’t apply to the Catholic Church at all!” Ribera said. Then to whom do they apply? Ribera proclaimed, “To only one sinister man who will rise up at the end of time!” “Fantastic!” was the reply from Rome, and this viewpoint was quickly adopted as the official Roman Catholic position on the Antichrist. 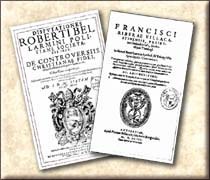 Francisco Ribera and Cardinal Robert Bellarmine, two Jesuit scholars, published works that taught that the Scriptures written by Paul, Daniel, and John had nothing whatsoever to say about the Papal power. Cardinal Robert Bellarmine, who helped popularize and propagate the futuristic interpretation of biblical prophecy. Following close behind Francisco Ribera was another brilliant Jesuit scholar, Cardinal Robert Bellarmine (1542-1621) of Rome. 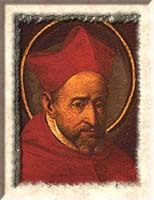 Between 1581 and 1593, Cardinal Bellarmine published his “Polemic Lectures Concerning the Disputed Points of the Christian Belief Against the Heretics of This Time.” In these lectures, he agreed with Ribera. “The futurist teachings of Ribera were further popularized by an Italian cardinal and the most renowned of all Jesuit controversialists. His writings claimed that Paul, Daniel, and John had nothing whatsoever to say about the Papal power. 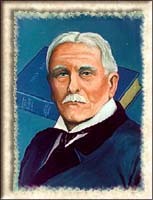 The futurists’ school won general acceptance among Catholics. They were taught that Antichrist was a single individual who would not rule until the very end of time.”8 Through the work of these two tricky Jesuit scholars, we might say that a brand new baby was born into the world. Protestant historians have given this baby a name—Jesuit Futurism. In fact, Francisco Ribera has been called the Father of Futurism. Here is the patience of the saints: here are they that keep the commandments of God, and the faith of Jesus. (Revelation 14:12). But as the days of Noe were, so shall also the coming of the Son of man be. For as in the days that were before the flood they were eating and drinking, marrying and giving in marriage, until the day that Noe entered into the ark, And knew not until the flood came, and took them all away; so shall also the coming of the Son of man be. (Matt. 24:37-39). Likewise also as it was in the days of Lot; they did eat, they drank, they bought, they sold, they planted, they builded; But the same day that Lot went out of Sodom it rained fire and brimstone from heaven, and destroyed them all. Even thus shall it be in the day when the Son of man is revealed. (Luke 17:28-30). The events described in the above scriptures make it clear that Christ's second coming is anything but secret. We are told in no uncertain terms that the coming of Christ will be as the lightning(Matt. 24:27), that then shall all the tribes of the earth mourn, and they shall see the Son of man coming in the clouds of heaven with power and great glory. And he shall send his angels with a great sound of a trumpet....(Matt. 24:30,31). Proponents of the secret rapture claim that Matthew 24:29-31 describes the second coming, which will include a great sound of a trumpet(Matt. 24:31). So how can 1st Corinthians 15, which speaks of the last trump when the trumpet shall sound, refer to the Rapture when there is yet another trumpet to be sounded, several years later, at the second coming? When Matthew 24 and 1st Corinthians 15 mentions the last trump, a great sound of a trumpet, and as the lightning, all are describing the same event  the second coming of Christ. There is nothing secret about lightning. And there is nothing secret about a great sound of a trumpet. To deduce from any of these Bible verses a secret coming of Christ is to deny the plain meaning of the scriptures. Another set of scripture passages frequently used by secret rapture proponents is Matthew 24:37-41 and Luke 17:31-37, which says that Two men shall be in the field; the one shall be taken, and the other left. But look closely at Matthew 24:39: it is not the wheat the saints, God's elect, the church that is taken; it is the tares the wicked, unbelievers, counterfeit Christians that are taken they knew not until the flood came, and took them all away;(Matt. 24:39); Let both grow together until the harvest: and in the time of harvest I will say to the reapers, Gather ye together first the tares, and bind them in bundles to burn them: but gather the wheat into my barn.(Matt. 13:30). Titus 2:13 is often used to support a secret rapture. The argument is that the blessed hope is the rapture and the glorious appearing is the revelation. But this would postulate a second and a third coming, of which there is not the slightest intimation of such in all of scripture. What is the Christian's hope? Paul gives us the answer in his first letter to Timothy, Paul, an apostle of Jesus Christ by the commandment of God our Saviour, and Lord Jesus Christ, which is our hope;(I Tim. 1:1). 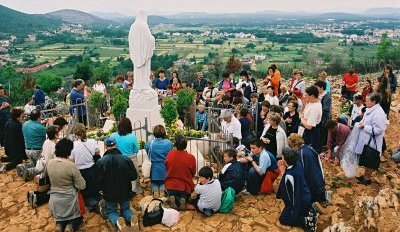 The Catholic Encyclopedia states: It is within the city of Rome, called the city of seven hills, that the entire area of Vatican State proper is now confined. (The Catholic Encyclopedia, Thomas Nelson, 1976, see Rome). 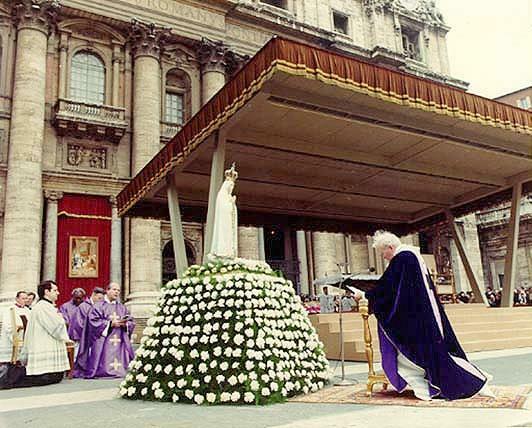 The official Catholic Bible, the NASB, states, The seven heads are seven hills on which the woman sits enthroned. (Rev. 17:9) (See Defining Antichrist). The ecclesiastical-temporal union of church and state by the Roman emperor Constantine in the fourth century marked the beginning of the establishment of the mother of harlots, with whom the kings of the earth have committed spiritual fornication (Rev. 17:2). 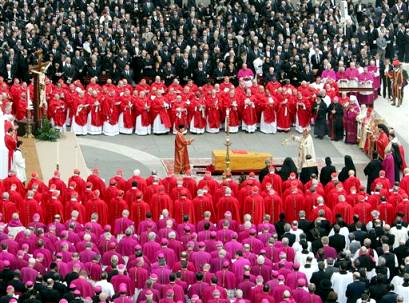 This religio-political power of Rome is the fulfillment of many Bible prophecies, being recognized by the remnant of faithful believers over the centuries as the four beasts and little horn of Daniel chapter 7, Paul's man of sin of 2nd Thessalonians chapter 2, and John's beast of Revelation chapters 13 and 17. But despite the abundance of scripture evidence and historical facts many of our pro-secret rapture friends are still not convinced. Let us look again at 2nd Thessalonians chapter 2 and compare scripture with scripture: here we are told of that man of sin whom the apostle Paul said would be revealed in his time. (II Thess. 2:3,6). Secret Rapture proponents argue that these scriptures point to one single sinister devil-man who is to appear on the scene after the true church is caught away. They contend that the phrases that man of sin be revealed and that Wicked be revealed refers to a single individual person. But could not Paul be using these terms in the same plural sense as in That the man of God may be perfect, throughly furnished unto all good works(II Tim. 3:17) and the spirit that now worketh in the children of disobedience(Eph. 2:2) and this is that spirit of antichrist(I John 4:3)? In light of the scriptures presented here along with irrefutable historical corroborating evidence we have every reason to believe that the man of sin refers not to a single person, but to a long succession of Christian impostors. The Lord said, My people are destroyed for lack of knowledge (Hosea 4:6). Herein lies one of the grave dangers of believing in a pre-tribulation rapture: if Christians believe they're going to be "raptured" from the earth before the great tribulation and the mark of the beast, they will have no reason to believe that it is in fact the mark of the beast and will readily accept it. Dear fellowservants in Christ, we are charge[d] to reprove, rebuke and exhort with the pure "preserve[d] sound doctrine of the inspired holy scriptures. We are living in the perilous times of the last days and the falling away from the faith which was once delivered unto the saints, when men are lovers of their own selves, covetous, boasters, proud, Having a form of godliness, when they will not endure sound doctrine, but shall turn away their ears from the truth, and shall be turned unto fables: And for this cause God shall send them strong delusion, that they should believe a lie (Psa. 12:6,7; II Tim. 3:1-5,16; 4:1; II Thess. 2:3-11; Jude 1:3). Brothers and sisters in Christ, the Lord is calling us back to himself and to his pure preserved word, saying, Come out of her, my people: I have somewhat against thee, because thou hast left thy first love. Remember therefore from whence thou art fallen, and repent, and do the first works. The fables of the Roman church are ensnaring the souls of millions, while many once Bible believing Christians are being led astray and lulled into a state of complacency with the charms of THE MOTHER OF HARLOTS (II Tim. 4:1-4; Rev. 2:4,5; 17:1-6; 18:4). they were to be lovers of them-selves, covetous, proud, blasphemers, disobedient to parents, unthankful, unholy, without natural affection, truce-breakers, falfe accusers, incontinent, wallowers in all manner of uncleanness, intemperate, fierce, defpisers of those that are good, traitors, heady, high-minded, lovers of pleasures more than lovers of God, creeping into houses, and leading captive silly women laden with sins. The chief residence of this monster was to be Rome: its name, Mystery, Babylon the great, the mother of harlots, and abominations of the earth. The Number of his name is 666, whose numeral letters constitute Latinus or Romiish, and whose square root is 25, the number of the articles of faith, and of many other things in the Romish church. This Antichrist began to work in the apostolic age, but was checked by the power of the Roman empire till that was destroyed, and a fearful apostacy from the faith happened in the church. His duration is 1260 years; during which he promotes idolatry, lies, and blasphemy, treads the church under foot, and persecutes the saints, who all along bear Witness against his abominations; nor do the terrible ravages of the Turkish angels, loosed from the Euphrates, in the least make his subjets to repent of their idolatries, murders, sorceries, fornications, thefts. At the end of his reign, he shall, with craft and fury, almost entirely cut off faithful witnessing for Chrift:—but all of a sudden, by the pure preaching of the gospel; by the effusion of sevenfold plagues, or vials of divine wrath; by the revolt and opposition of his own subjects, shall he be terribly distroyed, to the consternation of his adherents, and the great joy of the saints, both Jews and Gentiles, Dan. vii. 8—12. 20—26. and xi. 36—40. 2 Thess. ii. 3—12. 1 Tim. iv. 1—3. 2 Tim. iii. 1—7. and iv. 3,4. Rev. ix. 1-—11. 20, 21. aud xi. and xiii. to xix. chapters. The above characters, drawn from the scripture, can, with no justice, be applied to the heathen emperors of Rome; much less to the fanciful Danitish Antichrift of Popish writers, the Armillus of the Jews, or the Daggial of the Mahometans. The Mahometan system may indeed be considered as a lesser and more improper Antichrist; but neither are the most of the characters applicable to it. It sits not in the church, nor contains any pretensions of men to power equal to God's: allows of no idolatry, nor is it noted for persecution of the saints: nor was it established by lying wonders, but by the power of the sword. But every part of the above character is clearly applicable to the PAPACY. 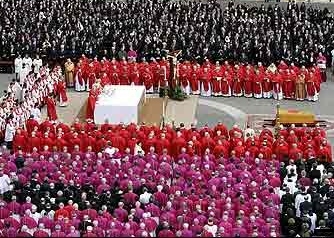 In the apostolic age it began to work in the ambition and false doftrines of the pretended apostles; all along, in the succeeding ages, it operated more and more in the growth of error and superftition; and in the aspiring temper of the clergy, chiefly of the bishops of Rome. The continued power of the emperors was long a check to the pride of the Roman bishops; but when the seat of the empire was removed to Conitantinople, about A.D. 330; when the western empire was entirely dissolved by the barbarians, A.D. 476; and finally, when ia A. D. 566, the emperor Justin stript Rome of her consuls and senate, and made it subject to the Exarch of Ravenna, they had full opportunity to exert their ambition. piety. In the subsequent age, the scholastic learning began. Its chief tendency was to pervert and obscure the scripture, render the Christian principles quite unintelligible, and to fupport the abominations then introduced. To render it impossible for the laics to discover the errors and horrid villainies of the clergy, their reading of the scripture was represented as extremely dangerous, and enacted to be no less criminal. To prevent every murmur againit their conduct, courts of inquisition were erected, by means of which, the least suspicion of pretended heresy, or even the falsest accusation, exposed multitudes to the danger of confiscation of goods, of imprisonment, tortures, and death. In every part of the Antichristian period God had his witnesses for the truth; and terribly were these persecuted and murdered by the Papists. The Waldenses of Piedmont and France, in the 12th and 13th centuries; the Wickliffites of England, in the 14th; the Bohemians in the 15th, were the most noted; and between a million or two, or perhaps more, were murdered on that account. In the i6th century the shocking impiety, fraud and oppression of the Romanists provoked vast numbers to throw off their yoke. The Pope's authority was abolished in Britain, in Sweden, Denmark, Holland, and a great number of States in Germany and Switzerland. Multitudes in France, Poland, Hungary, and even in Italy and Spain, were convinced of, and rejefted the Popish delusions. By an establishment of their abominations in the council of Trent, but chiefly by murderous wars and persecutions in Germany, Low-countries, France; by horrid massacres in France and Ireland; by bloody perfections in Poland, Hungary, England, Scotland, Savoy, &c. the Popes agents, for about 150 year, attempted to reduce them. Great men have thought, that Antichrist's general slaughter of the witnesses, and their death of three ytars and a half, have already happened. Some things similar have indeed taken place. After the council of Constance, about 1414, sat three years and a half to ruin them, and establish Popery, the Bohemians remarkably prevailed. After the affairs of the Protestants had been about three years and a half in a ruined condition, Maurice, who had formerly betrayed them, took arms in their favour, and recovered their liberties about A.D. 1551. After about three years and a half persecution, have the Protestants of Savoy oftener than once got relief. Three years and a half the Protestant religion seemed almost ruined in England, under Queen Mary; and again under King James II. of Britain; and at the end thereof, waa re-established by Elisabeth, and K. William: nor was it much above three years and an half; when relief from the massacres began to be granted the Protestants in France and Ireland. But it is observable, all these slaughters were particular; nor are the kingdoms of this world yet become the kingdoms of our Lord, and of his Christ. We must therefore believe the sad and most grievous conflict with Antichrit to be still future. The present abounding of ignorance, the contempt of the scripture, the prevalent errors on the head of justification and free will, the attachment to gaudy pomp in the worihip of God, the pride, ambition, contention, and loose living of the Protestants, appear wide steps towards a return to Rome. Who is antichrist? has been a question of curious and not uninteresting speculation for ages. The prevailing opinion seems to be, that the papal power is intended to be represented; and that the history of that power thus far corresponds very accurately in its principal features with the sure word of prophecy. Whoever reveals the distinctive features of the Man of Sin; whoever wields the temporal or spiritual power in any degree similar to that in which the Man of Sin is described as wielding it,—he, whether pope or potentate, is beyond doubt a type of Antichrist. The word antichrist does not always mean openly opposed to Christ, but putting something in the place of Christ. Any person teaching any way to God, excepting through Christ, is Antichrist. Any person teaching any way of salvation, excepting through the blood of Christ, is Antichrist. John says that in his day, "Now are there many antichrists." 1 John 2:18. 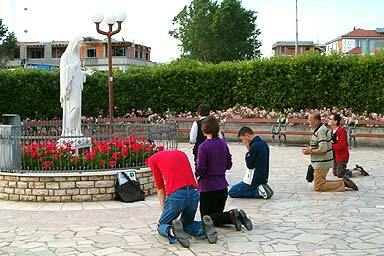 The papal church, putting its traditions in the place of the Scriptures, putting the Virgin Mary, the saints, the Pope, the priest, good works, the mass, purgatory, etc., as the way of salvation, in place of salvation by faith in the Lord Jesus Christ, is pre-eminently Antichrist. As we can see, even our modern Bible dictionaries now agree with the Jesuit propaganda of Francisco Ribera and Robert Bellarmine, and ignore the pages of history, the documented events that have taken place over many centuries which clearly reveals the system of antichrist. As early as the late 1800's, coinciding with the growth and spread of Roman Catholicism in America, Bible dictionaries began the process of omitting any reference that connected the papacy to Antichrist. Fortunately, the scriptures give us a clear picture of antichrist  past, present and future. a) The Pope of Rome has taken unto himself the title of "Holy Father", a title belonging exclusively to God (John 17:11). b) Circa 1200 A.D., Pope Innocent III declared himself "the bridegroom", a title belonging exclusively to the Lord Jesus Christ (Matthew 9:15; 25:1-13). a) Catholic priests insist on being called "Father" by their followers. a) The Roman Catholic church has substituted the one and only mediator between God and men, via Peter, Paul, Mary, the pope, the priest, etc. a) Catholics are told by their "Fathers" to say "12 Hail Marys", "10 Our Fathers", etc., and they will be absolved of their sins. 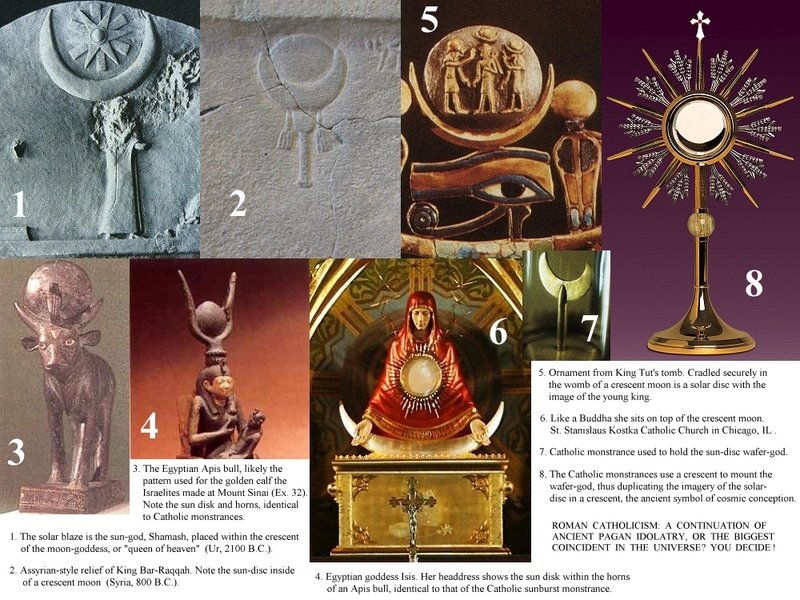 The same ancient Pagan symbols of idolatry are being used today in Roman Catholic churches around the world (see Photos comparing ancient Pagan idols with modern Catholic symbols).